Modern medical institutes have many decades of treatment working both individually and in groups with patients suffering from painful conditions caused by rheumatic diseases. 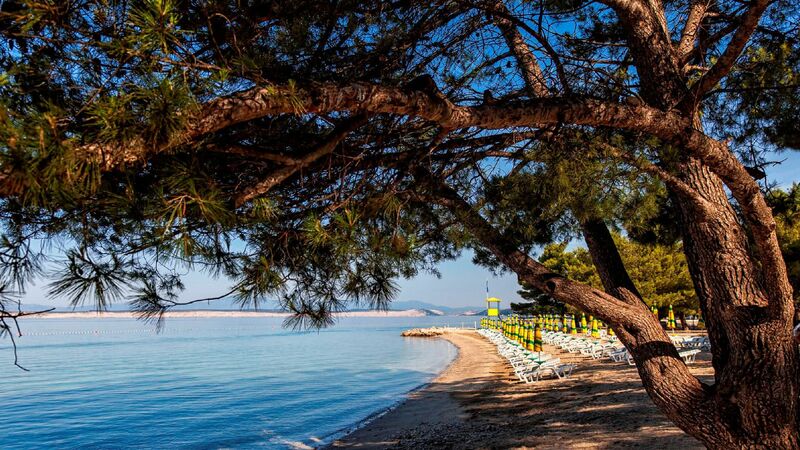 In only two hours flight from almost any airport in Europe and a short bus ride you will find yourself breathing in the clear Mediterranean air of the pretty towns on the the Croatian Adriatic that offer medical treatments for rheumatic patients. You will be pleasantly surprised by modern medical institutes and polyclinics that combine the principles and latest achievements in modern medicine with long tradition and experience. They have many decades of treatment working both individually and in groups with patients suffering from painful conditions caused by rheumatic diseases. Besides the Adriatic sea health resorts, there is one special type of treatment for inflammatory rheumatic problems located inland, nearby Zagreb, Croatian capital. It uses Naphthalan, the natural mineral oil, which is a natural therapeutic agent, recognized today in modern medicine for these treatments. Thalassotherapia Opatija is one of Europe's leading centres for the treatment of rheumatic diseases and heart problems with modern analytical methods, training and extensive rehabilitation programme. Thalassotherapia Crikvenica is a modern medical institute that combines the principles of thalassotherapy with the latest achievements in modern medicine, which yields exceptional results in treating diseases of the musculoskeletal and respiratory systems in children, adults and senior citizens. The natural mineral oil that comes from the bowels of the earth has been used for many years in treating psoriasis and neurodermitis as well as inflammatory rheumatic diseases (rheumatoid arthritis, psoriatic arthritis and nonarticular rheumatism). Specialist check-up made by physical medicine specialist, analysis of the patient’s medical records, diagnostics if necessary, assessment made by physiotherapist, defining functional status, prescribing of treatment plan. BOOK YOUR RHEUMATIC DISEASES TREATMENTS NOW! Single or double rooms, minimum 3*: air condition, TV/SAT, phone, little fridge, depot, bathroom (shower, hair dryer), balcony, free Wi-Fi. Rooms for disabled persons available. Several half-day or daily excursions in the surrounding are offered on the spot, such as.